The good luck flowers collection available from the florists in Ellon is one of style and grace, making it the perfect place for you to browse for a meaningful flower arrangement which will convey all your best wishes to someone with important things happening in their life. The florists in Ellon recognise that flowers convey a message which words sometimes cannot, which is why we aim to provide a variety of flower arrangements which are suitable for a huge range of occasions. Whether you’re looking for a spectacular bouquet or a unique flower arrangement, Flowers Ellon surely has something which will suit your tastes. However, should you be having any difficulties in finding exactly what it is that you’re looking for from our collection, do not worry. The Ellon Florists are delighted to be able to offer a bespoke flower arrangement for all of our customers to consult, which means that you will easily order a truly unique and personalised flower arrangement which has been hand-crafted just for you. The Ellon Florists have over 40 years of experience in the floristry industry, ensuring that the flower arrangement which they provide for you will be crafted with a great deal of skill and expertise, which is not always easily found. Flowers Ellon uses only the freshest flowers available for all of the flower arrangements which we provide, as we import beautiful fresh flowers from our suppliers in Holland on a regular basis. 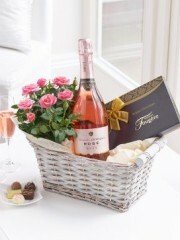 This allows all of our customers to enjoy some of the most beautiful flowers in the world when they order from us. Our dedicated team is always on hand to help with any difficulties you may have when ordering with us, so feel free to contact us with any queries or requests. 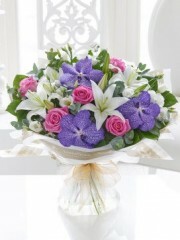 Fantastic flower arrangements are closer than you think with Ellon Flowers. The florists in Ellon are delighted to be able to offer not only a gorgeous range of good luck flowers for our customers to choose from, but also a variety of different flower delivery services which are bound to please. We know that ordering flowers from Flowers Ellon should be an enjoyable and rewarding experience, and this is why we only ever deliver your flowers at a time and date which is suitable for you. The Ellon flower delivery service is exceptionally reliable and efficient and operates six days a week throughout Ellon and the surrounding area. Therefore, it is easy for you to choose a day of the week from Monday to Saturday which suits you for your flower delivery to take place. 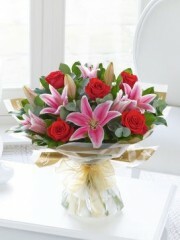 It is also possible to request a time slot for your good luck flower delivery, either morning or afternoon. 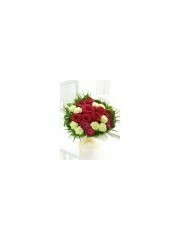 Furthermore, Flower Delivery Ellon is proud to be a member of the Interflora brand. This means that we can offer you a range of flower delivery services further afield even though you are still ordering with us here in Ellon. Being an Interflora member means that we can deliver the good luck flwoers you order from us to a huge range of locations across the United Kingdom. It is also possible for your flowers to be delivered abroad, as we are linked with international flower delivery services in 140 different countries across the world. The message which flowers convey should never be limited by distance, which is why Ellon Flowers will endeavour to deliver your flowers to wherever you require today. Ordering with your local florists has never been an easier way to ensure that your flowers can be delivered wherever you wish. 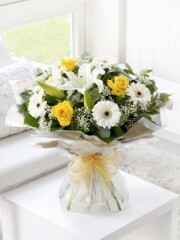 Choose Flowers Ellon for a wonderful range of good luck flower arrangements.